On the edge of downtown, in the center of Dallas County lies a modern museum of history and culture referred to as the Old Red Museum. 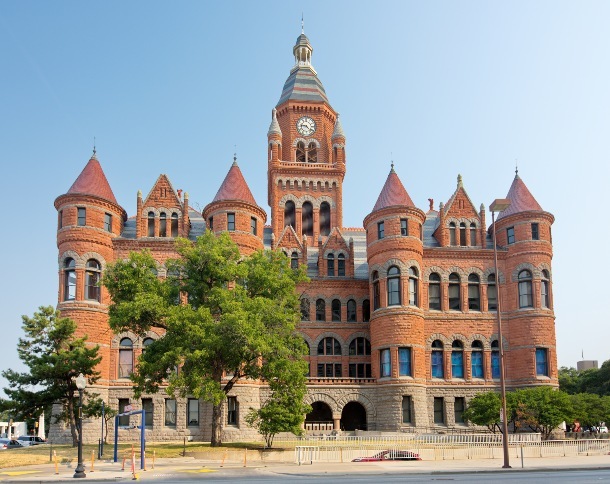 Since its founding as the Dallas County Courthouse in 1892, the building remains a community gathering place for locals and tourists from all around the world. This timeless landmark was later chosen as the local Dallas history museum to remind visitors of the city's founding by a unique group of people who fought for Texas' freedom. Though the building has since been renovated, the building’s original spirit still shines through the years as it stands as a timeless symbol of the Texan heart. Arrive at Old Red in style with a comfortable, modern shuttle bus and a private driver at your service. National Charter Bus will organize group travel to and from Dallas as we handle the parking and monument schedules along the way. Your professional driver will be experienced in Dallas navigation and traffic while dropping you off at the most accessible entrance to the museum. Take the time to explore the best sights and attractions around the museum with a shuttle awaiting you at every turn. We're here to streamline your travel! Taking the cultural route to Dallas? Explore the best of Dallas history and culture at the Old Red Museum. The unique exhibits allow students to learn new and exciting facts about Dallas’ heritage through guided tours exploring everything from the Clock Tower to the intricate details of the museum’s high ceilings. Old Red is also filled with kid-friendly exhibits including interactive touch screen computers, an educational learning center, and four mini-theaters. You’ll want to pre-plan your transportation so you’re able to enjoy your visit worry-free! Plan ahead to determine hours of operation, admission prices, location, and parking. We’ll ensure your driver handles the rest! If you want to avoid heavy traffic, crowds, and long lines you can ask your driver to simply drop you off at the museum right at its opening at 9:00 am. If you’re not sure how long the museum hopping will last-- it’s not a problem for our professional drivers ready to pick you up until the museum’s closing time at 5:00 pm. We work around your time and schedule, so you and your group can focus on what’s truly important: exploring Dallas! Our full-sized coach models include climate-controlled interiors to keep passengers out of the Texas heat. Your group can also choose adjustable, reclining seats so everyone can rest comfortably on long drives. We also offer a variety of entertainment options to keep your group entertained such as TVs, WiFi, and onboard plug-ins for your devices. Groups with large amounts of luggage or equipment can stay organized by using the storage bays below the bus and in the overhead bins above the seats to stow all their personal belongings while wandering museum exhibits. Your church or school group is also sure to enjoy sightseeing and snapping pictures through panoramic windows as they're whisked through this rich and vibrant city. We understand that safety is a priority when traveling for field trips, church outings, or simply for a family vacation. That’s why we offer ADA-certified bus models and only work with buses and drivers who are up-to-date on the latest regulations in the industry. When you book a rental through National Charter Bus, your travel coordinator will ensure your bus meets the customer care standards of the industry while keeping your group coordinated and informed between stops. You’ll ride with peace of mind knowing you’re in the safe hands of a professional, experienced driver in a modern, up-to-date motorcoach. Renting a charter bus is the safest, most comfortable option for the entire group since each driver is screened for testing on the most relevant safety standards of the charter bus industry. Once we’ve determined they are up to date, drivers also undergo a strict background check before getting behind the wheel. National Charter Bus works with a large network of bus providers to offer passengers a wide variety of options to meet every type of group. Finding the best type of bus for your trip to Old Red is an easy and simple process. Smaller vehicles like an 18-passenger minibus and 25-passenger minibus are great for groups of friends and family. A 56-passenger charter bus is the best option for classes or community organizations taking a field trip to the museum. 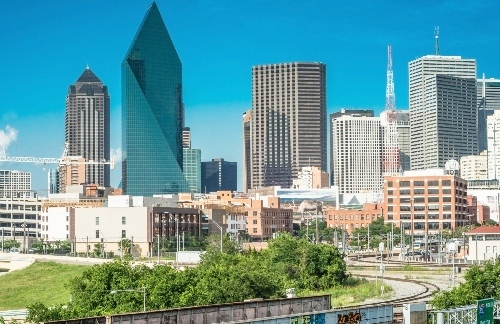 Minibuses are also a wonderful option for groups traveling throughout Dallas to visit other popular attractions like the Perot Museum or Dallas Arts District. Considering taking a bus for your next trip to Dallas, Texas? 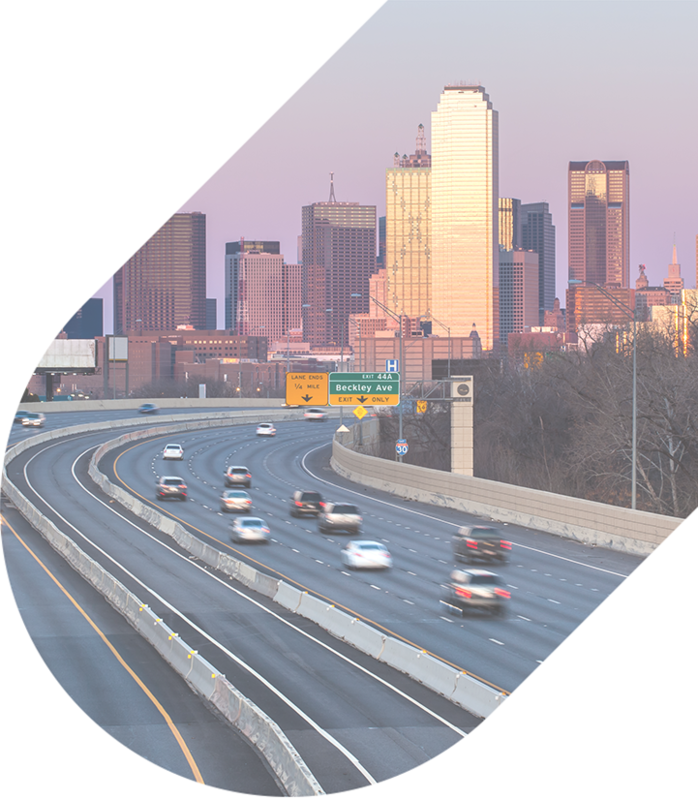 Come along for the ride to Dallas in a modern, comfortable coach rental and we’ll work with you on your desired stops— no matter the distance. With our private shuttle services, you can easily transport your attendees from their hotels to any destination in Texas. 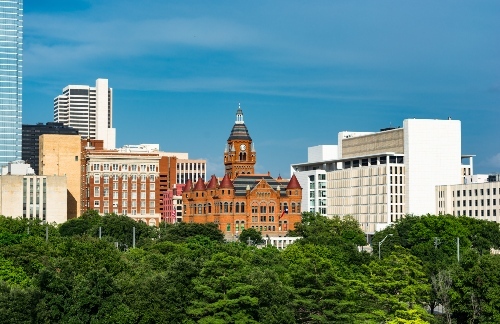 Plan on visiting the city’s popular surrounding cities along the way such as Plano, Houston, or Fort Worth? Instead of taking crowded public transit routes on Dallas-Fort Worth Metroplex, have a bus instantly pick you up from the DFW Airport. Book your private bus with one of our rental representatives at 214-206-1981 for hassle-free travel arrangements. We’ll pair you with a modern coach that is sure to impress!